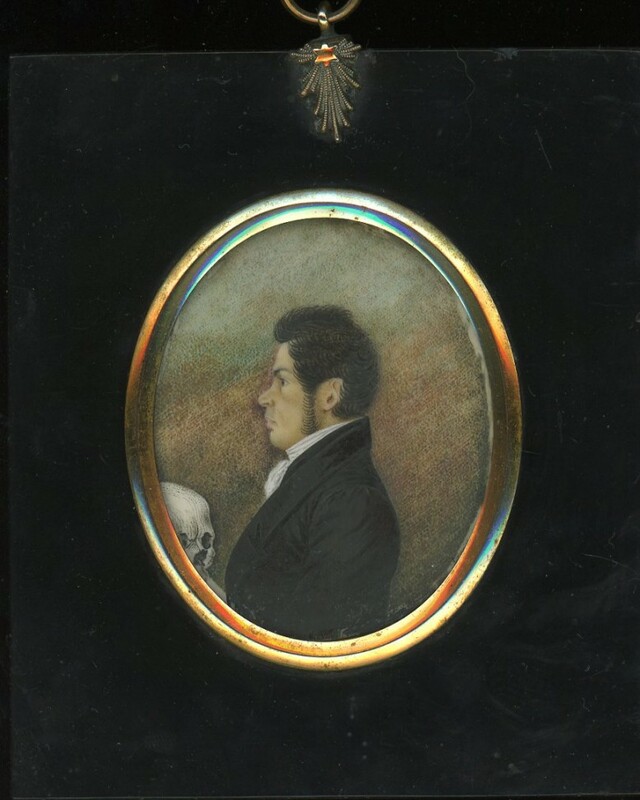 This is a curious profile portrait of a gentleman holding a skull. This is presumably to denote his profession: a surgeon or doctor perhaps or a scientist or, as has even been playfully suggested, a serial killer! He has thick black hair and bushy sideburns and is soberly dressed in a black coat, frilled chemise and white stock, typical attire of the Regency era. Watercolour on ivory, signed and dated on the reverse “By / R M / May 1820”. It is set in a traditional papier-mâché frame with a leaf hanger.